Click Here to See Our Used Mazda3s! 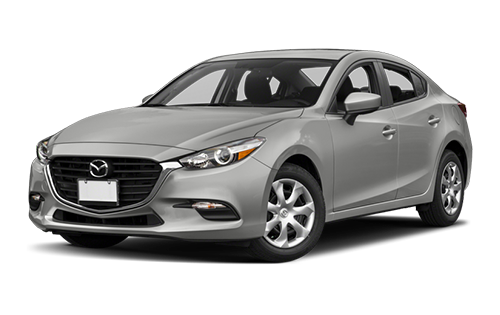 If you are looking for a used Mazda3 near New Hamburg, then you have found the right page! With its timeless style and striking look, it is a wonder that we have can keep any pre-owned Mazda3s on the lot! Don’t worry though, we’ve got a few, and one of them is certainly exactly what you are looking for in a car. It’s the one with all the power, design, and function of a high-end car, but at a fraction of the price. How will we find the perfect Mazda for you though? It starts with us understanding you as a customer. When your needs are mixed with a little bit of our expertise, you'll find needs you didn’t even know you had, and we'll satisfy them. We have a low pressure, highly cooperative sales team that want you to drive away in something that you’ll be genuinely happy with, and succeeding in that is our number one goal. So come on in and take a used Mazda3 for a test drive! We are at 115 Northfield Dr W. in Waterloo, or you can call us at (519) 746-2777 to book your appointment! We can’t wait to meet you! We have been serving Waterloo and the surrounding communities since 1948. Get behind the wheel of your next vehicle sooner! Upgrade your current vehicle and get a lower price for your new one! Used Mazda3 | The Perfect Car for…Anything? Everything about the pre-owned Mazda3 is built around practicality. Things that you wouldn't even imagine are on a car manufacturer's radar are taken care of. Take, for example, the available heated door mirrors for the days when it’s frosty out. How about the available rain-sensing windshield wipers that start and stop with the rain? All of these things and a million more add up to more than a drive. It all comes to an experience you get to have every time you step behind the wheel. Interested? Visit us today! On the inside, it’s like a little oasis from the ordinary. With an available 7-inch colour touchscreen display running your infotainment center you will quickly forget that you’re on a major road trip from New Hamburg. What is infotainment? Well, it’s both an available navigation system and an available nine-speaker Bose audio system operating out of the same console. It connects to your phone through Bluetooth and uses MAZDA CONNECT so that your calls and messages can safely be read and responded to while on the road. It’s information, and it’s entertainment, and it’s all in the used Mazda3. When it comes to safety there are a host of available options and builds that make the Mazda3, even a pre-owned Mazda3, ready for anything. From a standard traction control system to an extraordinary dynamic stability control system, the Mazda3 keeps you on the road and rolling in the right direction no matter the road conditions. When it comes time to back up the standard rearview camera makes it an absolute breeze. In the world of safety, there are few cars on the road that can compete with the Mazda3. Time to Find What You’re Looking For! Is the hunt is on for a used Mazda3 near New Hamburg? Well you’ve arrived at the right place because we have some not far from where you are right now. With an expert team that knows Mazdas like the back of our hands, we are the right choice to begin and hopefully end, your search for this car. Come in and talk with us for a while, or give us a call. We’re Mazda enthusiasts first and salespeople a distant second! When you choose Forbes Waterloo Mazda for your next vehicle purchase, you’re choosing quality vehicles and great service, at a fair price. Since 1948, the Forbes family has been serving Waterloo and the surrounding communities with great service and selection on a variety of vehicles. We’re a family owned and operated company, and believe in treating our customers like family too. Our friendly and knowledgeable sales team is always happy to help you find your next vehicle, and is available to answer any questions you may have about it. Come on in, take a test drive or two, and see how Forbes Waterloo Mazda can help you get behind the wheel of a new vehicle today. Let us know how we can make your dealership experience amazing, at Forbes Waterloo Mazda. Visit us today at 115 Northfield Dr West, Waterloo, ON or call 519-746-2777. The staff at this dealership were cordial throughout the entire transaction. The dealer I corresponded with, Alfonso, was an absolute pleasure to talk to. From the moment he took me on as a client, he treated me as a friend, and I actually enjoyed shopping for a vehicle. The staff’s dedication to make you feel welcome was admirable, and their policy of not pushing a sale was appreciated. Alfonso helped me pick a car that perfectly met my requirements for work and home life, and worked with me to finalize a deal that I felt was best for me. They are easily the best dealership in Waterloo. Really great service! Rebecca was awesome and very helpful. The car we came to look at wasn’t exactly what we were looking for but she found us one that had just come in recently and wasn’t even listed yet. It turned out to have everything we were wanting for a price we wanted. There was a dent and scratch one the one door which was properly fixed and looks like new. I had my 8-month-old son with me when I picked it up and they were very accommodating and got me on my way as quick as possible. They even sent me a dozen fancy cupcakes as a thank you! Can’t ask for better service than that! I have been going to the garage for years. Love the service as they never try to up sell you stuff you don’t need. They tell you what’s wrong and fix just that very quickly and done very well.